Conducting work throughout the Greater Liuwa Ecosystem the Liuwa Project team is based out of Matamanene Camp in the southern portion of the park, working on an array of activities in this rapidly recovering ecosystem. Daan completed his degree in Wildlife Management in the Netherlands. As an undergraduate he conducted a study focusing on the Eurasian Otter in South-Western Ireland and the Netherlands. 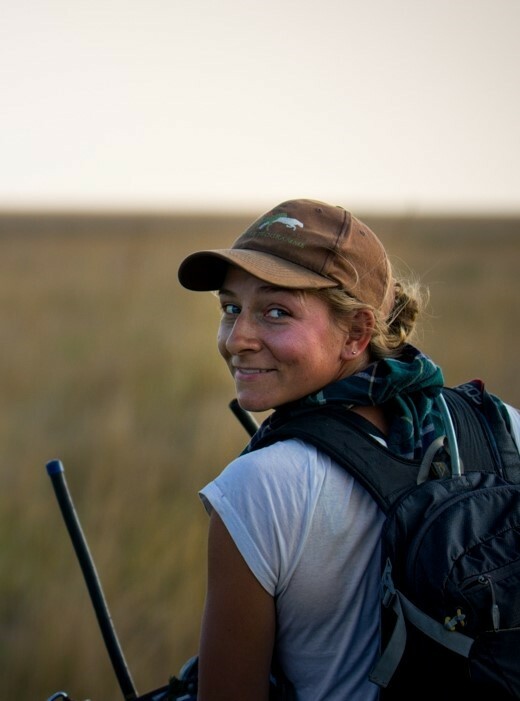 Daan has been working at the Zambian Carnivore Programme since 2013, mainly in the Liuwa Plain ecosystem. Daan is now project manager for the ZCP Liuwa research project. Shadrach joined ZCP in 2015. He studied Wildlife Management at the Copperbelt University in Zambia. He did his final thesis study in Kasanka NP and graduated in 2015. Besides field researcher Shadrach is also coordinates the ZCP Conservation Club. Shadrach joined the ZCP Liuwa team in 2015 and is Senior Field Ecologist – a position he describes a “dream come true”. Mboo is a African Parks/DNPW scout that joined the ZCP Conservation Biologist Training in 2016. For Mboo Liuwa NP is his back yard as he is born and raised in Mishelundu village, a village inside the Liuwa National Park. Mboo is very dedicated research scout that wants to keep learning to make a difference for Wildlife in his country in the future. As and 18-year old young man, Kings joined ZCP in April 2016 as part of the ZCP Conservation Biologist Training. In 2017 Kings started studying Animal Science at NRDC in Lusaka. During his school holidays he comes back to work at the place he calls his home; Liuwa. After Kings graduates he can be found back on his bike on the plains of Liuwa where he will be working as fulltime Field Ecologist. Justin (aka Jukato) was born and raised in Western Province. He was educated as a carpenter and assisted in building camp facilities of the ZCP Liuwa research camp. He was invited to join the ZCP Liuwa team in June 2016 as a camp- and vehicle Maintenance Assistant. A graduate of Copperbelt University, Teddy enrolled in ZCP’s Conservation Biologist Training Programme in 2013, before becoming a full-time ecologist with the Liuwa project. He has also worked at ZCP’s South South Luangwa and Kafue Sites. In 2018 Teddy is selected for the WildCRU's Postgraduate Diploma in International Wildlife Conservation Practice at the University of Oxford. Sandra worked in several intern- and volunteer positions in Zambia, experiencing various fields of conservation such as research, management and law enforcement, during her bachelor’s degree. For her BSc thesis she studied aquatic macrofauna in Dutch peat soil. In February 2017 she returned to Zambia where she joined the ZCP Liuwa team and fell in love with hyenas. Peter is from Mfuwe and was a committed Conservation Club member. He joined ZCP in 2017 under the Conservation Biologist Training Program. Peter will be involved in all aspects of the organization’s work and is looking forward to helping develop ZCP’s education program in Liuwa. Dean is from Mfuwe and joined ZCP as part of the Conservation Biologist Training Program in 2017. He is a former Conservation Club member who completed his education at Mfuwe Day Secondary School. Dean’s past work experience involves working with a community-based organization to promote economic empowerment through conservation farming. His future interests include wildlife research and community outreach on issues affecting large carnivores. Anna was born and raised in Kalabo in Western Province where she gained 8 years of housekeeping- and cooking experience. She joined the Liuwa team in 2017 and takes care of all housekeeping duties.